Proposals to retire the UK Royal Navy’s (RN's) two landing platform docks (LPDs) and reduce the size of the Royal Marines (RM) have come under fire from retired officers and academic experts during a parliamentary inquiry. The proposals prepared by RN chiefs as part of the ongoing UK national security capability review were described as “perverse” and “aggregated stupidity” during a session of the House of Commons Defence Committee on 5 December to investigate the RM and UK amphibious capability. 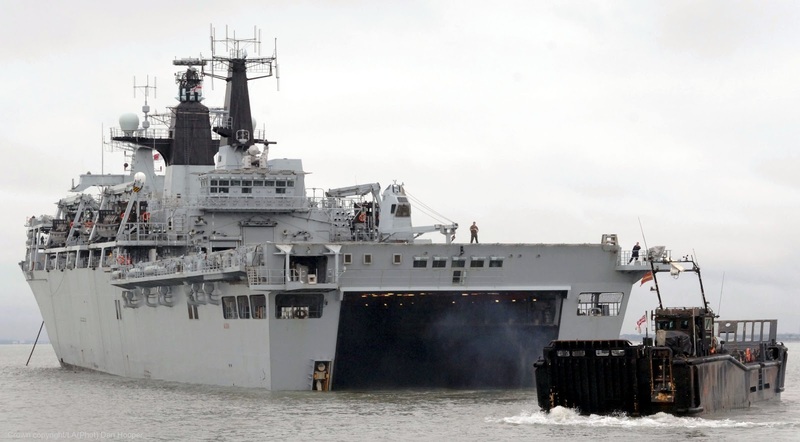 The committee launched the inquiry in November in response to media reports – that were not denied by the Ministry of Defence – that the early retirement of the RN’s two LPDs, HMS Bulwark and HMS Albion , and a reduction in the strength of the RM by 1,000 was being considered in the review. This is crazy. But also clever, diabolical and stupid. Why is it clever? Because they get to get rid of other pieces of equipment at the same time and few are taking that into account. With the LPDs gone then the landing craft are useless. Sell the LPD and the air cushion vehicles are useless. Of course you don't need the Beach Armored Recovery Vehicles (right) that were a uniquely British "thing". Why is it diabolical? Cause it justifies cutting the Brit Army. 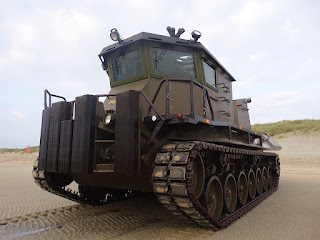 How do you get them overseas ...especially the Army's vehicles without LPDs? Everything will be suboptimal and I don't think you can put Challengers on the flight deck of the QE. They're taking out two majestic ships but they're gonna be able to justify FAR LARGER cuts across the board with this decision. Why is it stupid? All of the above. The Brits don't want to admit it but they've just relegated themselves to a different class. I don't know their aspirations but they will never "punch above their weight class" if they go forward with this planning. To be blunt. The Brits will become a drag on operations and militarily irrelevant. Instead of asking the Brits to provide fighting forces I can see future commanders telling the Brits to send donations to the Red Cross and to go shopping to support the war effort.